Health informatics is known as health information systems, healthcare informatics, nursing informatics or biomedical informatics, and a health informatics degree is an important first step for those breaking into this field. It is a modern career choice that combines computer science, information science and healthcare in order to provide state-of-the-art patient care. Those in health informatics careers are responsible for optimizing the storage, retrieval and use of patient and healthcare information. 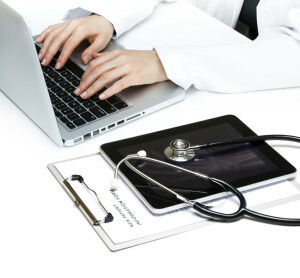 Those in the healthcare informatics profession need to be comfortable with computers, medical terminology, communication systems and information systems in order to be successful in this highly specialized profession. Candidates for healthcare informatics program must be interested and comfortable with complicated medical information and the use of advanced technology. Qualified informatics allow dentist offices, hospitals, pharmacies, public health organizations, therapists and physician’s offices to utilize technology for billing, record keeping and patient care. The use of technology can allow a practice to operate efficiently, effectively and accurately. There are several degree options available for those interested in pursuing a career in healthcare informatics. A bachelor’s degree with a major in health informatics is available for new students and those just entering the field. Bachelor’s degree programs allow students to learn the basics of health informatics and build a solid foundation in the field. For those with a bachelor’s degree in a related field, certificate programs are available in order to prepare students for a career in medical informatics. Master’s degree programs in biomedical informatics are available for advanced studies and for those pursuing management and leadership positions in the field. There are several institutions in the United States that offer degree or certificate programs in healthcare informatics. The biomedical informatics field is rapidly growing and changing as medical and computer technology continue to advance. As a result, it is essential that individuals hoping to pursue a degree in health informatics look for a highly ranked and accredited program. These programs are most likely to have rigorous programs that offer the latest research and technology. Accreditation also increases the likelihood that potential employers will accept and respect the earned degree. The US News and World Report maintains a list of annual rankings of both online and traditional campus-based degree programs. Schools with the highest rankings are often also the most highly respected institutions, offering high quality programs with rigorous standards. An institution’s regional accreditation is also an important consideration prior to choosing a degree program. Regional accreditation by organizations like the Higher Education and the Higher Learning Commission helps to ensure that the institutions and programs have met at least the accrediting organization’s minimum standards for program quality, graduation rate and financial assistance. Local and regional professional organizations can also offer approval to specific programs. College and graduate students today often have several responsibilities that may make completing a traditional degree program difficult. Full-time employment, family responsibilities and coursework can be difficult to balance, especially with traditional campus-based programs where classes occur at specific times during the day. Distance learning and online degree programs can offer flexibility to busy professionals and non-traditional learners. Distance learning programs often offer classes at times that are convenient to the student. While most institutions do not have specific class times each day, those that do often offer options for nights and weekends. Coursework is done at home or another location convenient to the student as well. These programs are great choices for motivated students who could not otherwise complete a degree program due to other responsibilities and commitments. In addition, those who pursue online degrees can often maintain full time employment, gaining valuable experience in the field of study. The University of South Florida Morsani College of Medicine offers two graduate programs in healthcare informatics using a distance learning format. USF’s Master of Science in Health Informatics is designed to help students gain the skills needed for senior-level positions, such as chief information officer, compliance officer and health information system placation designer. The program is designed for current physicians, nurses, pharmacists and IT professionals interested in working in health informatics. The graduate certificate in health informatics is the nation’s only program of it’s kind offered completely online. USF’s graduate certificate program can be completed in six months. The University of South Florida is regionally accredited by the Commission on Colleges of the Southern Association of Colleges and Schools. Valparaiso University offers several options for those considering a degree in healthcare informatics. With both traditional campus-based programs and distance learning programs, there are options for almost any student hoping to earn a degree in the field. Valparaiso’s Master of Science in Health Management and Policy: Health Informatics program is designed for both current health care professionals and those looking to transitioning into a health care career from another area of practice. The university is accredited by the North Central Association of Colleges and Schools of the Higher Learning Commission. In addition, the school has accreditation from the Commission on Collegiate Nursing Education, as well as approval from the State of Indiana Health Professions Bureau of the Indiana State Board of Nursing. The Ohio State University offers one of the nation’s most comprehensive programs in biomedical informatics. The university offers degree options at almost every level, including undergraduate, master’s doctoral and postdoctoral levels. In addition, OSU offers distance learning programs, certificates and fellowships in biomedical informatics. This program is housed in the university’s College of Medicine, which is one of America’s most highly respected and technologically advanced programs. The Ohio State University is accredited by the Higher Learning Commission of the North Central Association of Colleges and Schools. Under the Affordable Care Act, healthcare providers are required to comply with ACA requirements for health insurance exchanges. As a result, many healthcare organizations are turning to health informatics in order to ensure that electronic health records systems are efficient, accurate and confidential. Healthcare informatics are now used in public health agencies at local, state and national levels. They are also used at insurance companies, hospitals, clinics, universities, pharmacies and research institutions. There is a wide range of career options available for those with degrees in healthcare informatics. Corporate technology or innovation officers help to develop and implement new technology for large hospitals or institutions. Medical, nursing an public health information officers are often hired by hospitals and medical clinics. Program evaluators and quality improvement specialists are used to examine the effectiveness of existing healthcare information technology programs. Consultants, analysts and strategic planners are often used in order to assess the effectiveness of current programs and design new programs to improve the efficiency of medical institutions. Finally, workflow redesigners are used to help maintain efficiency and accuracy. The salary range for healthcare informatics is dependent on the type of position and level of expertise needed. Medical records and health information technicians are often entry level positions with an average salary of $34,160 annually according to the Bureau of Labor Statistics. Biomedical research and design professionals often earn an annual salary of at least $86,960. At the top of the salary range, bioinformatics scientists can earn over $112,400 each year. Current changes in healthcare laws, in addition to rapidly advancing medical and information technology, contribute to a high demand for medical informatics. The Bureau of Labor Statistics states that medical records and health information technicians can expect a job growth rate of 22%, which is a must faster rate of growth than the average profession. The average informatics job growth rate is about 24% across all specializations. Many CIOs in the United States are reporting a current shortage of health informatics staff as well. The following resources offer additional information for those considering pursuing degrees and careers in biomedical informatics. Some of these resources are professional organizations which offer networking and continuing education opportunities. The American Medical Informatics Association is the leading professional organization for biomedical informatics. AMIA offers several newsletters and publications designed to provide the latest in professional research. AMIA also offers membership, meetings, conferences, continuing education programs and a career center for members. The International Medical Informatics Association is an international professional organization founded under Swiss law. IMIA aims to improve the application of information science and technology in medical and healthcare settings around the globe. Like other professional organizations, IMIA offers publications and the latest research available. There are also several opportunities for professional networking around the world. The American Nursing Informatics Association is a professional organization for health information and technology used by nurses and advanced practice nurses. ANIA has an annual conference as well as networking and continuing education opportunities for nurses and nursing students. There is also an online library for students and members in order to remain up-to-date on the latest research in the field of nursing informatics. This social networking forum provides a wealth of information to students and professionals in the field. The forum offers areas to chat with peers and professionals as well as a forum where students and professionals can have questions answered and provide useful information for others. There is a resource directory and a job search board for those looking for career opportunities. There are also dozens of video lectures for IT professionals and healthcare professionals on topics such as health management information systems, quality improvement, working in teams, usability, configuring electronic health records, working with health IT systems and installing and maintenance of health IT systems. Heathcare Informatics Magazine has partnered with the Institute of Health Technology Transformation in order to provide the latest research and information to those in the medical informatics field. There are print and digital editions, while the website hosts an archive of previous issues. The magazine also maintains social media accounts on Twitter, Facebook and Linkedin in order to answer reader’s questions and interact with professionals and students in the field. The Journal of Health & Medical Informatics is an open access publisher and a peer reviewed scientific and academic journal. Students may find the journal useful in academic research while professionals can read the journal in order to stay up-to-date on the latest research in the field. Students, researchers and professionals are also offered publication opportunities. The Healthcare Information and Management Systems Society (HIMSS) is a global non-profit organization with the goal of improving health outcomes with the use of information technology. HIMSS offers a variety of professional development opportunities, including career services and a job posting board. There is also information on online education, traditional education, certification requirements and scholarships. The Healthcare Information and Management Systems Society also hosts an extensive resource library, a collection of podcasts and publications, featured collections and a bookstore. There is also a section dedicated to becoming involved in HIMSS through local chapters, committees, roundtables and special interest groups. Explore more about health informatics degrees and health informatics careers throughout our site.